There are many native Milanese companies in the business of making beautiful clothing and accessories. The obscurity or recognition of each varies, and relative to its age, technical precision, and manner of ownership. Over time, through advantageous acquisitions and mergers, with the ‘luxury’ industry in its umpteenth iteration, and publicly-traded entities focused primarily on growth, one finds many brands based in Milano enjoying global penetration and desirability in the minds and hearts of consumers, from Orange County to New Delhi. Fontana isn’t one of those brands. Instead, it is a tightly controlled, limited access, virtually zero wholesale leather goods company, celebrating 100 years of excellence and quality. 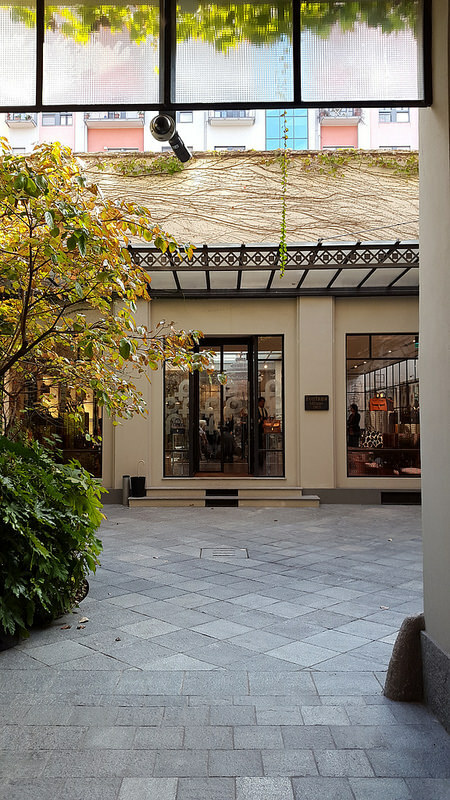 Rather than through a storefront within the Quadrilatero della Moda, Fontana’s point-of-sale is within spitting distance of its factory, along a quiet street in Milano’s Porta Romana. It’s a ten-minute walk from the nearest Metro stop—closer to bus lines that cater to the working class of the city. 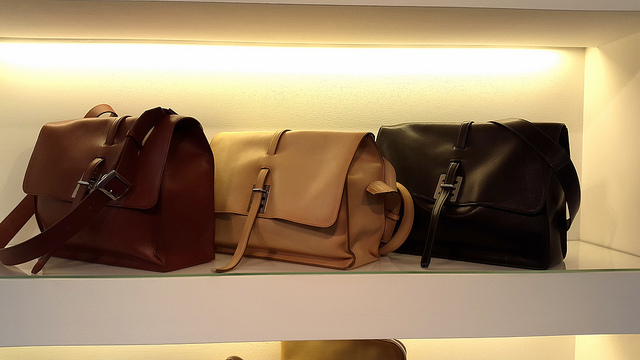 There are only ten or so models of bag, most of which are variations on a very short list of original designs. As you might imagine, to add a bit of spice to their offerings, these bags come in a rainbow of aubergine, aqua, and persimmon, and some are carefully studded by hand with hundreds of metal dots. Fontana is known for its metal hardware. One thing I’ve learned about Milano is its affinity for courtyards. Even more, courtyards of unbelievable beauty off of streets that are drab, dark, and deserted. When you enter Fontana’s complex, you’re greeted by vine-covered walls, a fountain anchored by the brand’s curled F logo, and a glass-encased store that smells of divine animal hides. I digress. 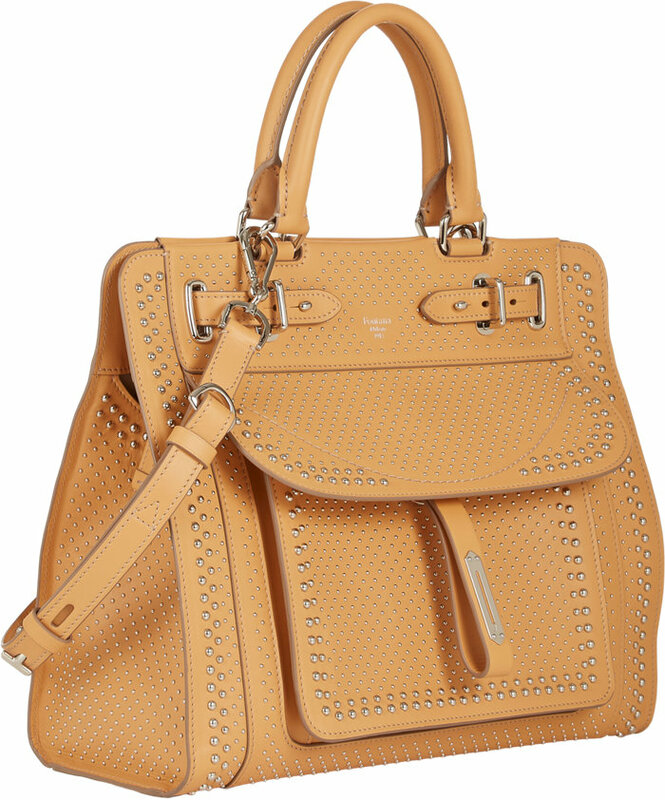 Fontana is a bit like Hermès, before people knew what a Birkin was. In the early 90s, the French company floated an IPO equal to ~30% of the business, raising funds to expand globally. Twenty five years on, though it is still highly sought after, its twinkle is just a bit dimmer, thanks to the ubiquity of its designs. It’s still hard to procure an $8,000 Kelly or $12,000 Birkin, but it’s quite easy to purchase Hermès perfume, a scarf, or costume jewelry. 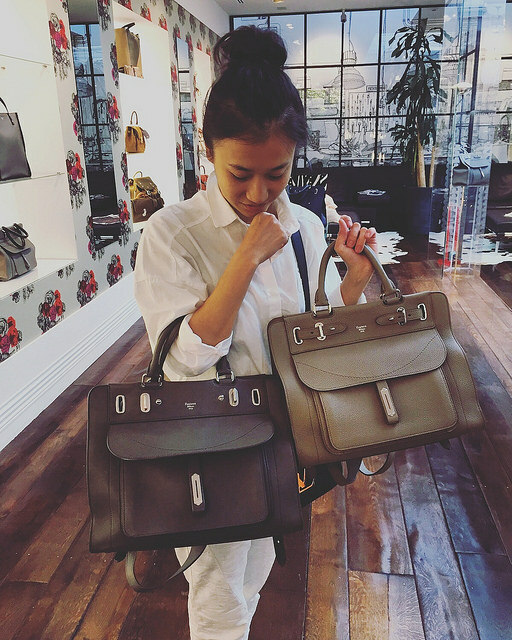 In a way, it feels like a coup to discover an ancient (in today’s life cycle of brands) company, with such a high level of sophistication and an exclusive price (bags start around $1,700), that isn’t trying to grow. Fontana isn’t interested in capitalizing on the world’s thirst for undiscovered legacies. It certainly isn’t selling accessible items like perfume or keychains. Which color? Black or light gray? There is only one distributor in the U.S.—Barney’s. And elsewhere, Fontana can be found in parts of Asia, because they always seek out the best! Of course, this is all to say that I want one. Duh! 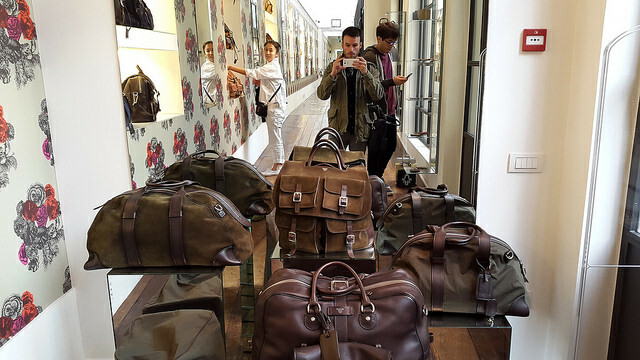 Fontana makes men’s messenger-satchels, as well as travel bags and backpacks. My friend Ting chose a taupe gray “A-bag” with a convertible rear strap suitable for use as a backpack. I guarantee she is the only one with a Fontana bag in our entire school, maybe even the postal code! There is a considerable markup in the U.S. Prices at the Fontana storefront in Milano are more reasonable, a reflection of excellence in construction more than glossy advertisements and costly runway shows. Hopefully, this is not the only gem to be found hiding underneath the city’s fashion facade. I look forward to exploring more, and had a great time visiting Fontana! Here’s to 100 more years of true luxury! Hi my Alex di Milano. YES….Attention to Detail IS my wonderful “thing”….as are you!